The way to connect with the one thing every candidate owns–a cell phone–is with SMS recruitment. Almost everyone owns a mobile phone, but SMS (Short Message Service) in recruitment is amazingly underutilized. SMS recruitment is an untapped market, one that saves money and time, something which can clearly be appealing for any organization. The advantage of SMS recruitment is that it saves administration costs. Bulk SMS communication takes only seconds to send, where individual phone calls take hours or days. In a recent study, 80 percent of mobile phone owners carry their phones all the time. Text messages have become the most reliable form of contact. Consequently, SMS is also an effective way to get the right person for a job. SMS recruitment can let you easily communicate with candidates, as well as shortlisting candidates, inviting candidates to job interviews, sending relevant information such as appointment changes, reminder messages, and other notices during the different stages of the recruitment process. A company uses SMS recruitment to match and promote new job openings to suitable candidates in a company database. Using SMS recruitment not only improves communication dramatically, but also boosts your company’s chances of bettering competitors with an interest in recruiting the same people. Using SMS to contact applicants, compared to companies that only rely on traditional methods—phone calls, email and the like—there will be no doubt text messages will notify an applicant first. 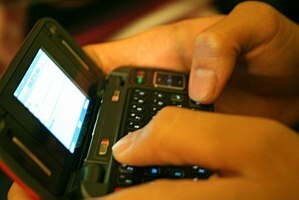 If SMS recruitment is great, why aren’t more companies using it? According to the New York Times, 97 percent of text messages are opened; 83 percent are opened within an hour. This is in stark contrast to email, which is often left unopened, due to the overwhelming spam most people get. Text message marketing (including SMS recruitment) generates responses significantly higher than traditional internet marketing. People trust content in text messages more than they trust the internet, which is frequently filled with annoyances like pop up ads and spam. When individuals receive information from organizations they trust, they respond positively. SMS recruitment can be the best hiring tool for a progressive, forward-thinking company. ‹ PreviousObsessed With Social Media? Why Not Get Paid For It!